The Great Pyrenees is a notably accomplished and impressive guardian for a dog breed. This breed is extremely devoted to its family and tends to be somewhat cautious of strangers, whether they are humans or other dogs. When not irritated, the Great Pyrenees is a very peaceful, well-behaved, and often serious dog breed. This breed of dog is known for its gentle nature with its family, especially children. It has a strong, independent and almost stubborn personality, causing it to potentially try to control a less sheltered owner. The Great Pyrenees should always be on a leash when away from its home because it is known to wander. This bred also tends to bark a lot. The Great Pyrenees depends on daily exercise in order to stay in proper shape. However, the exercise does not need to be excessive or extreme. As long as it is taken on a moderate walk daily, the Great Pyrenees is satisfied. This breed of dog particularly loves hiking with its owners, especially in colder weather and snow. That being said, the Great Pyrenees does not like or do well in hot weather. It can contently live outdoors in temperate to cold weather. However, if it had the choice, this breed would prefer to be indoors with its family. The Great Pyrenees needs its coat brushed at least once or twice weekly. However, when it is shedding, its coat needs brushed daily. The Great Pyrenees is known to drool at times and also tends to be a messy drinker. The Great Pyrenees has a life span of ten to twelve years. There are a variety of health concerns associated with the Great Pyrenees. Some of the major health concerns include CHD and patellar luxation. Some of the minor health concerns associated with the Great Pyrenees include entopion, OCD, skin problems, osteosarcoma, cataract, chondrodysplasia (dwarfism), and panosteitis. Gastric torsion, otitis externa, and spinal muscular atrophy are also occasionally seen in the Great Pyrenees. It is highly suggested to get hip and knee tests with this breed. The Great Pyrenees is said to have descended from the first flock guardian dogs, making it an extremely old breed of dog. This breed comes from a flock of large white dogs that existed in Asia Minor about 10,000 B.C. Nomadic shepherds took this flock to the Pyrenees Mountains around 3,000 B.C., thus contributing to the name of the Great Pyrenees. These dogs acted as livestock guardians for many centuries. During medieval times in France, the Pyrenees had become a frightening fortress guard and eventually became the pride of many large chateaus. This breed caught the eye of French nobility in the late 1600s and in 1675 was dubbed the “Royal Dog of France” by Louis XIV. During this same time, the breed came to Newfoundland, and eventually made it’s way to American in 1824. By the 1900s, the Great Pyrenees had faded away from French country life. Interest in the breed also declined in England, but fortunately still existed in great quantity and quality in its native mountain land. These are the dogs that founded the creation of the modern Pyrenees. The breed received AKC recognition in America in the 1930s and attracted great attention to new owners. 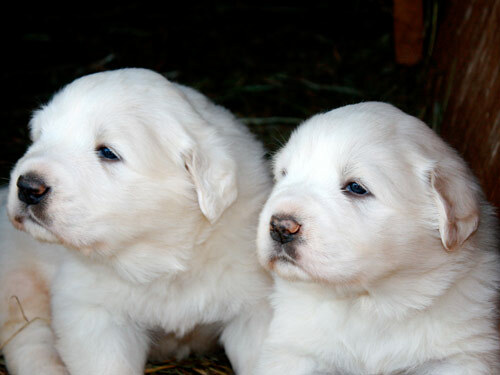 Today, the Great Pyrenees adorns reasonable popularity.